12 months 12 causes - Help Ever Hurt never! I haven’t written here since so long! I have been busy with my project : 12months12causes where I am organizing an event per month for different NGO’s. I have organized events and charity events in the past but this year I have tried to do it monthly. These events are to raise funds for a particular cause, raising awareness and at the same time meeting and connecting with different people. I would like to thank all the people who have come to help and sponsored. I have learned quite a lot during these months and met incredible people. 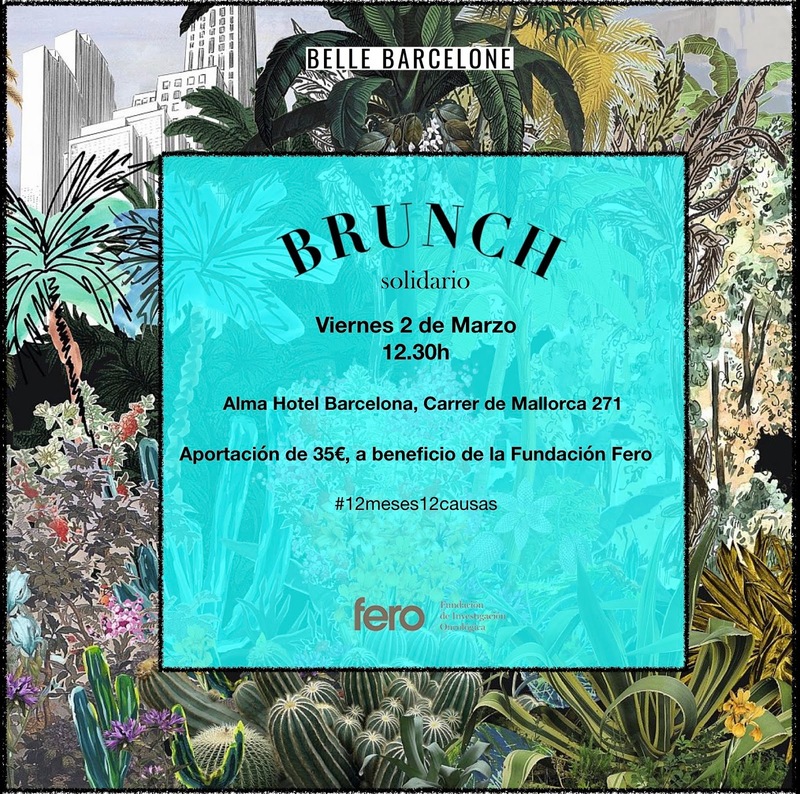 Our first event was a brunch at the Alma Hotel for the Fundación Fero. 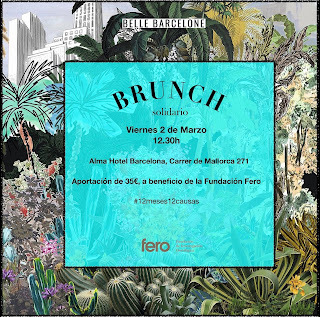 Fero is private foundation whose objective is to contribute to the development of cancer research. I have had the privilege to visit VHIO. Dr Baselga is the driving force of the foundation and chairman of the scientific committee of VHIO. I had the pleasure to meet him during the gala dinner in Barcelona at the MNAC – where they host an annual charity dinner with around 1000 people. 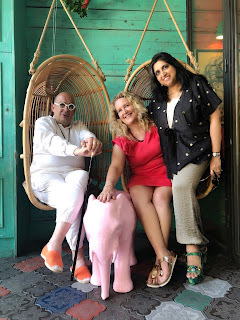 I have also got to know the lovely director Piru Cantarell and got to know thoroughly the work of Fero. I also met the Fero Team. In the month of March I organized a painting & wine session at Artte Bar. 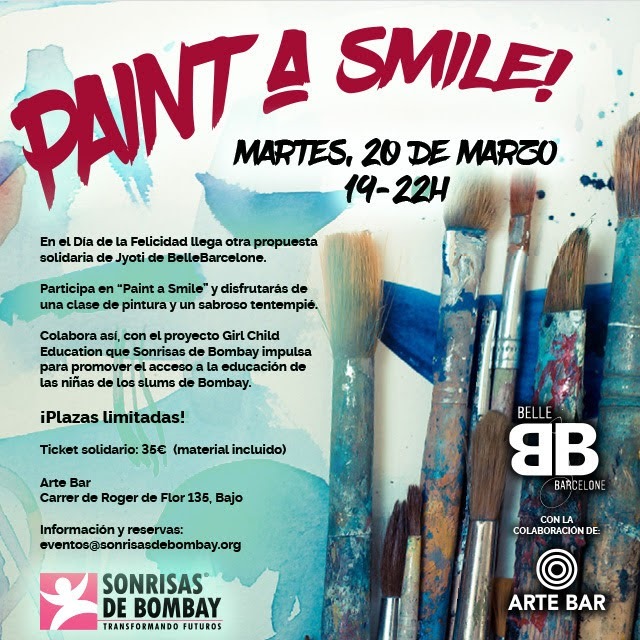 This time was for Sonrisas de Bombay. It wasn’t my first time organizing for this NGO. Sonrisas de Bombay is very close to my heart. 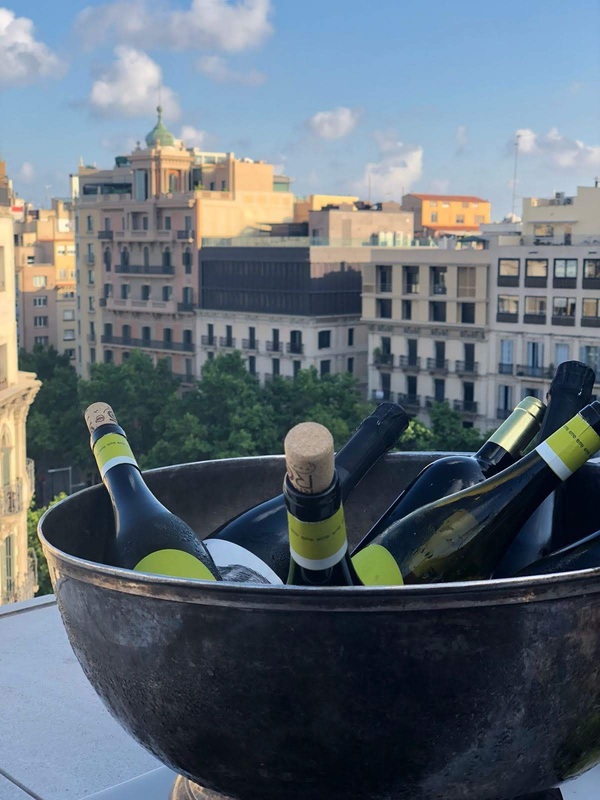 You can read here about Jaume San Llorente, the founder and his story. 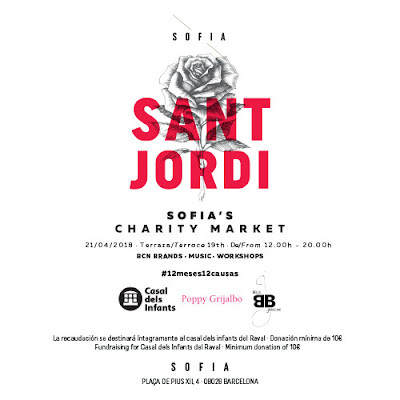 In April coinciding with the weekend of Sant Jordi, Poppy Grijalbo- a close friend with whom I wouldn’t have been able to do many of the projects that I have done- and myself organized a Market at the new Sofia hotel on the 19th floor. 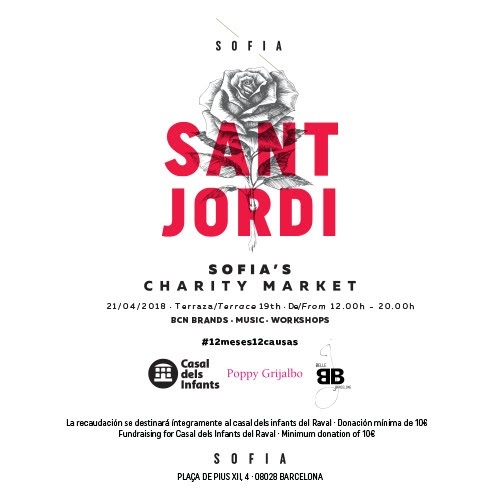 This time the event was to raise funds for Casal Dels Infants. We had different Brands and various activities during the full day. 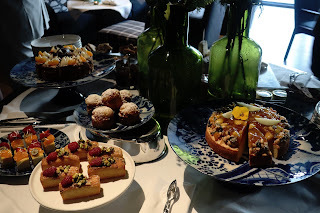 Apicia, House Of Maroti, Blame Eugenia or Baúl weekend were some of them. Baúl weekend organizes a sale once a year with vintage clothes and accessories and donate the funds raised to an NGO. It was an honor to have them at our market. We also had Betina Pons organize a book sale and a book signing. 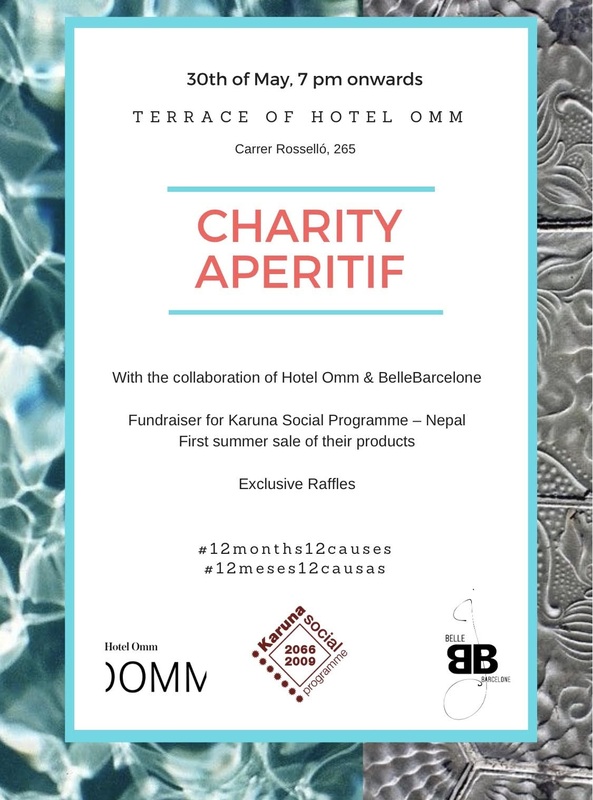 In May I organized an aperitif at hotelOmm for Karuna Social Programme. Its founder Edu Bores, a close friend as well was present. I admire the work he does: you can read about him here. The goal of Karuna social Programme is to help as many women as possible by incorporating them into the center so that they feel useful. For this they offer a decent work under fair trade criteria (contract, medical insurance, schedules) in which they can produce handicrafts to be sold in Europe. 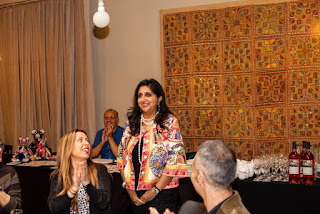 Karuna was the first woman that started to work in their first center in 2004. 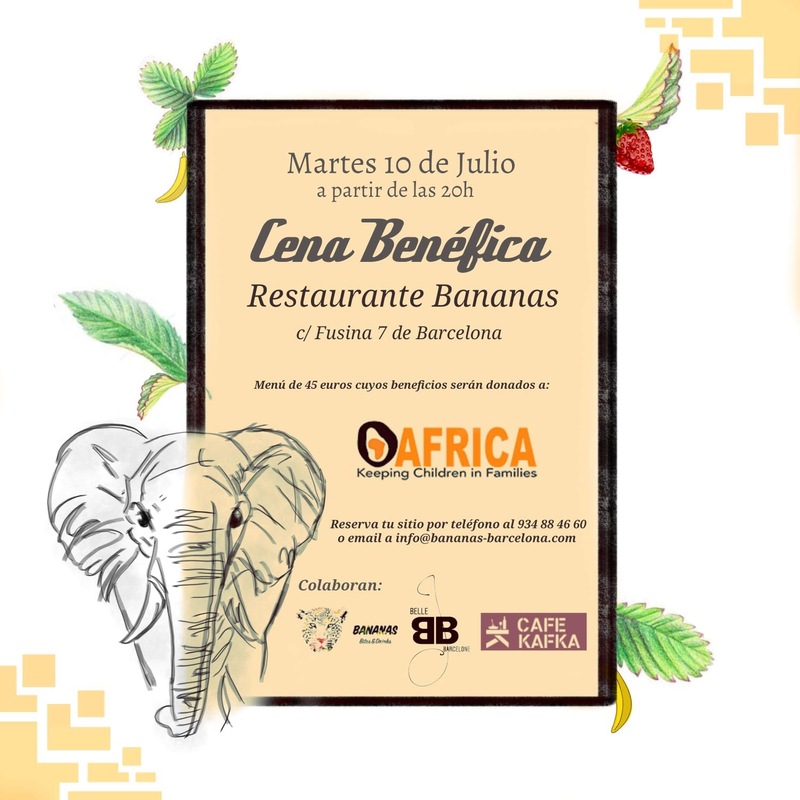 In June I had the privilege to organize a charity dinner with Lisa Lovatt Smith at Banana’s in the Born. A lovely restaurant, their setting was perfect for an African oriented theme. We had painting and live music accompanied by a cocktail. Coming back to Lisa, she won a writing competition for at the age of 17 in 1984 with Vogue Magazine. and was awarded a job with the magazine in London. At age 19, she was made picture editor by Anna Wintour, becoming the youngest editor in the magazine's history and by the age of 21 she was fashion director of the newly launched Spanish Vogue, and the youngest person in Conde Nast to become a fashion director, a record she holds to this day.At the age of 23, Lisa fostered an orphan girl named Sabrina. In 2002, during a volunteering trip to Ghana with Sabrina, Lisa founded OAfrica, an organization focused on keeping kids out of orphanges and reuniting them with their families. 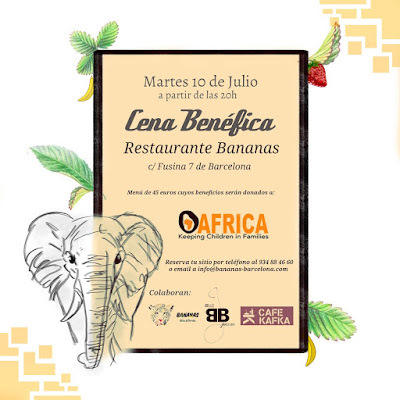 OAfrica helps more than 5,000 children a year, providing healthcare, startup capital, resettlement packages and scholarships, they also find foster families for the few with no possible family placements. I just get so amazed by these wonderful people doing such a wonderful work. Bravo Edu Bores, Piru Cantarell, Jaume Sanllorente, and Lisa Lovatt Smith!! !